Need a Podcast? Let us sort it for you! 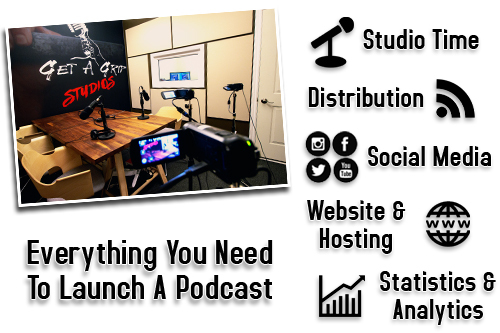 Choose one of our Complete Podcast Packages, and we can take care of everything you need to launch, host, produce, and distribute your show, including statistic tracking, a professional website, social media branding, and more! 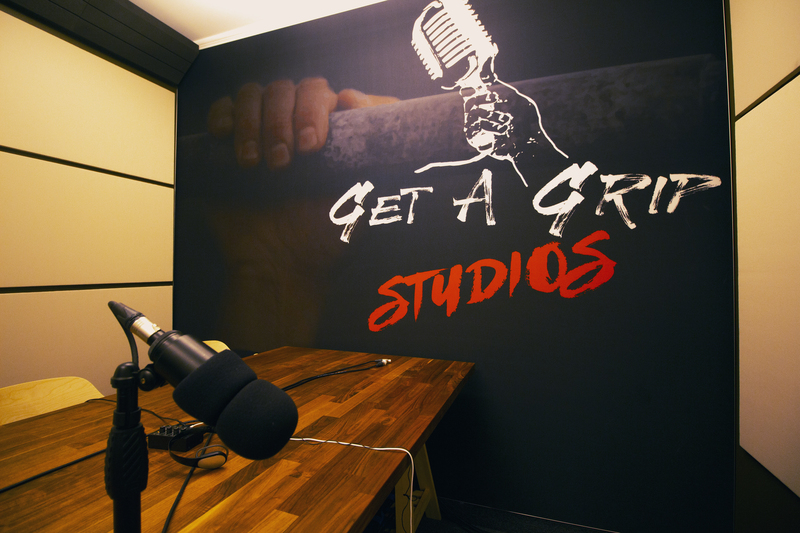 You'll get access to our recording facilities, including our live and virtual studios, access to a professional producer who will record and distribute your show, and your show will join our the Get a Grip Network where we will track your stats and chase sponsors for you, allowing you to focus on creating great content, while we monetize and bring you to new audiences! Our high tech recording studio has everything you need to record a professional podcast. We've set up the studio with HD video and mastered audio in a sound insulated recording room able to seat yourself and 2 other guests. Alternatively your guests can also tap into our system from anywhere in the world and be featured on your episode with their audio and video coming into the show in real time. No Skype or Facetime needed! Your fee includes studio time, producer time, and the finalized product which can be uploaded when you wish or streamed live to air to Facebook, YouTube, Twitch, Periscope, & more! 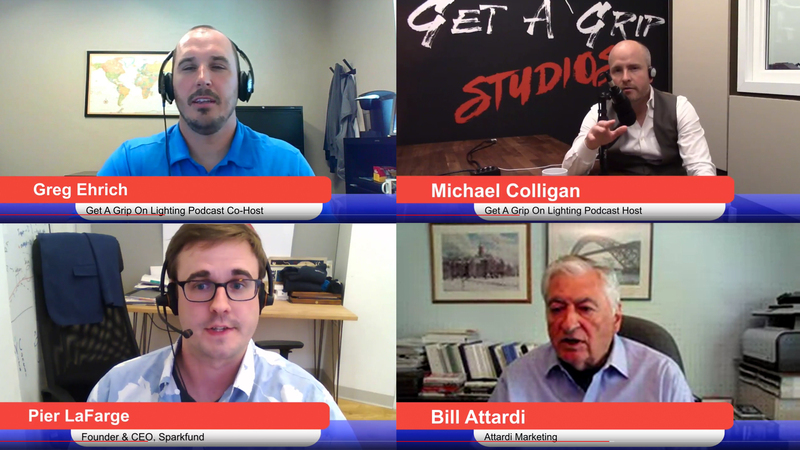 Our podcasting software allows us to invite you and up to seven guests (8 total) from anywhere in the world. All you and your guests need is a wired internet connection, an HD Webcam, and an over ear headset with microphone. From there we will send you and your guests a link to join the group via email. When you join the room you will all be able to see and hear each other in real time. Our producer in Toronto will edit the show live, adding graphic overlays, and cutting back and forth between you and your guests. Fees include software access, producer time, and the finalized product which can be uploaded when you wish or streamed live to air to Facebook, YouTube, Twitch, Periscope, & more! Let us come to you! We'll bring our equipment to record you and three guests (4 people total) including HD cameras and professional audio. If the location has an internet connection, we can go live to a destination of your choice such as Facebook, YouTube, Twitch, or Periscope, otherwise our producer will edit the show live and deliver you a finalized product for you to upload where you wish. Fees include equipment rentals, producer time, transportation, and finalized product. © 2018 Get A Grip Studios. All Rights Reserved.